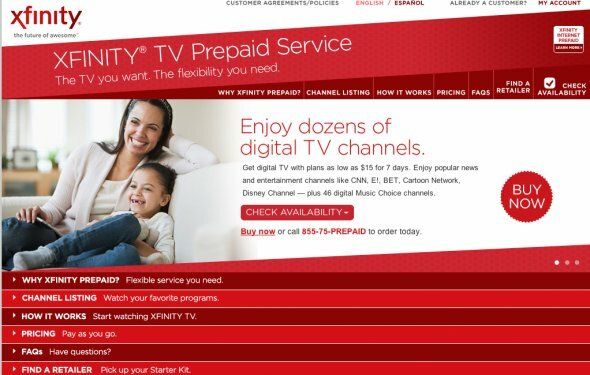 Flex TV is a no-contract, prepaid satellite television service from DISH Network. You own the equipment and you can turn the service on/off without any early termination penalty. You must be a first time DISH Network subscriber or a former subscriber that left DISH Network in good standing more than 90 days ago. You can pay your monthly bill by any means: send a check or money order by mail, credit or debit card payment over the phone or online, Western Union Quick Collect, Money Gram, PayXchange, and CheckFreepay. Credit card auto pay or debit card auto pay is suggested for uninterrupted service. Note: Even though this is a pre-paid service, DO NOT let your 30 days expire and expect your service will be automatically disconnected! If you plan on turning off service temporarily (a few months) call DISH and place your account on DISH Pause for $5 a month OR you can disconnect your service entirely. There are no reconnect fees for restarting service, only pre-pay for one month of programming and any previous outstanding balance. It's that easy. If you need professional NATIONWIDE installation, fill out the form below at "FLEX TV with Professional NATIONWIDE Installation". A two-room Flex TV system with DVR and professional installation is only $200. Subscribe to any qualifying DishLATINO or International package and get an instant $125 discount! Net price: $75! We will contact you to verify your installation order, set up your account, and schedule your installation date. During this call you must have either a credit card, debit card, prepaid VISA or MasterCard available to pay for your first months programming, sales tax, and any other DISH Network fees in advance (installation). After you've made this first payment, credit cards and debit cards are no longer required. You can make payments by sending a check in the mail with your bill or pay in cash at the many locations that accept DISH Network remittances. At this time it is highly suggested you sign up for auto-pay (credit card, debit card, or prepaid card) and paperless billing so you'll never miss a payment! Payment for your first month of programming and installation is fully refundable if for any reason the Flex TV system is not installed at your home. Most banks will process the refund within 3-4 business days. If you already have a properly installed and configured dish antenna, all you need to do is choose a Flex TV receiver and the applicable activation fee. Scroll down to "I Don't Want Professional Installation" to make your purchase. Self-installation is not recommended unless you have the skills and tools to properly install a satellite TV system. Prior to shipping, we will attempt to reach you by phone to verify your order. Be prepared to give us the address where the receiver will be installed and the level of programming you are interested in. The address is required so that available locals and regional sports networks can be received. We will also verify with you what type of dish antenna is at your location and if it is compatible with your chosen equipment and programming package. We can only provide Flex TV in the United States at this time. Puerto Rico and U.S. Virgin Islands residents, please contact a local retailer. Equipment and service is not available outside of this area or for export. Your account will be created only after the system has been properly installed and verified. If you are unable to complete the installation on your own, call the number on your invoice for technical support or contact a local retailer to complete the installation. Refunds of purchased equipment for self-installation follow our terms of sale which is available at checkout. Quickly use your to HDMI output for HDTV viewing! This newer HDTV 4K/2K Adapter is the one of the most powerful ones available! EASILY play your App Videos to your HDTV using any standard HDMI cable at rate supported! BUY NOW - QUICK SHIPPING - EASY SETUP!